La Valeta is the administrative capital of Malta. This enchanting baroque city is situated on the peninsula Stseberas, which is located in the north east part of the Maltese coast. Around it are seen two of the most beautiful natural harbors in Europe - Marsamkset port and the Great port. Few Mediterranean cities can offer such a rich mix of architectural, historical and cultural monuments, as this unique city. Historic buildings in La Valletta, built for the most part in the 16th century, are characterized by the Baroque style. For centuries Valletta functions as a fortified settlement. Knights of St. John, known for their eight sided Gothic Cross come to Malta in 1530 and since then the name of Valletta becomes known. They ruled the fortified city until 1798, when the city and the island was conquered by Frenchmen. The founder of Valletta is considered the great master of the Order of st. John- Jean Parisi de La Valletta. The contemporary image of the city is the work of Italian architect Francesco Lapareli, who had the pleasure to design the village as he sees fit, without complying with the current location of the old buildings, or with architectural plans. La Valetta is the first city ever built on the principle of a grid of streets, allowing fresh sea air from the two ports to circulate freely in the streets and act like an air conditioner, spreading a medieval atmosphere. One of the biggest attractions of modern La Valetta is the parliament building, which in the period 1571-1574 was the official residence of the palace-founder of the Knights Order of St. John- Jean Parisi de La Valletta. Do not miss the Cathedral of St. John. Its strict facade contrasts with the rich and opulent Baroque interior. Inside you can see the unique funeral marble slabs on the floor, painted ceilings and intricate carved stone walls. One of them is out of the Caravaggio masterpiece "beheading of John the Baptist." In La Valetta is one of the oldest theaters still operating on the territories of Europe. "Manon" was built in 1731 and today its internal decor is simply stunning. The entire capital of Malta is like a city museum. 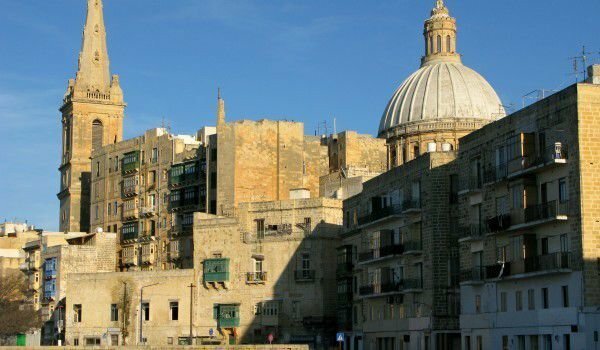 Because of the enormous historical and architectural heritage here, La Valletta is included in the list of UNESCO Cultural Heritage Sites in 1980.